There are few things as exhilarating as finally finding the right person and deciding to commit to a life with each other. If you’re basking in the warm glow of a recent engagement, enjoy every minute of hazy happiness before the realities of planning a wedding sink in. Planning can be exciting, full of cake tastings, dress fittings, and venue visits. But all of those price tags can really add up. As you begin planning your wedding, it’s important to know what to expect. The average cost of a wedding in the United States in 2017 was $33,391. According to the Knot, who polled 13,000 couples in their annual wedding study , this number is actually on the decline, down from about $35,000 in 2016. And this doesn’t even include the honeymoon! One cost that comes into play before any planning even starts is the engagement ring. Dazzling engagement rings range significantly in cost, but in 2017 the average amount of money Americans spent on an engagement ring was $6,351 . After the engagement ring and engagement, the months of planning begin. One of the first things most couples look for is a venue. On average, couples will spend around $3,100 to rent a wedding venue. Some venues come with furnishings all ready to go. Other times, you’ll also need to consider renting chairs and tables to furnish the space. And oftentimes, venues will require you to use specific vendors for everything from food to decorations. It’s important to consider all of these factors as you estimate costs, and be sure to read the full venue contract before you sign, so you know what exactly is included and what is not. Once you’ve selected a venue, it’s time to think about catering. The Knot’s 2017 Real Weddings Study discovered that couples spend about $70 per guest on catering. Again, every venue is different. Some have catering included, while others require you to select caterers from a pre-approved list. In addition to catering, you’ll also have to look into cake options, which on average, cost about $540 . You’ll most likely want some photos to remember the wedding you’ve spent so much time and money planning. Wedding photographers and videographers can also be expensive. On average, a photographer costs $2,630 and a videographer costs $1,912 . You wouldn’t make a large purchase or investment without carefully considering your options, and you shouldn’t treat your wedding any differently. Sit down with your fiancé/fiancée and hash out a wedding budget. While it could be uncomfortable to discuss who will be paying for what, now is the time to have these conversations. Take a look at your finances and determine how much money you’re willing to spend on wedding expenses. Understanding who will contribute to the wedding and how you’ll pay for everything is a critical step as you get started. As you determine your wedding budget, take the time to discuss what aspects of the wedding day are most important to both of you. Creating a plan for where you are both willing to splurge and knowing what areas of the wedding you’re willing to compromise on will be helpful as you are in the planning weeds. Knowing up front that you both are prioritizing a photographer and videographer, for example, can help you keep your budget on track and make it easier for you to plan a wedding ceremony and reception that you’ll both love. If you are enjoying a longer engagement, you can use that time to start saving for your wedding. Consider cutting back on unnecessary expenses, like daily coffee shop runs, or certain monthly subscriptions. Take the time to call your cable or internet provider and see if you can negotiate a lower rate. If you can save even $20 a week, that can impact your bottom-line come wedding day. 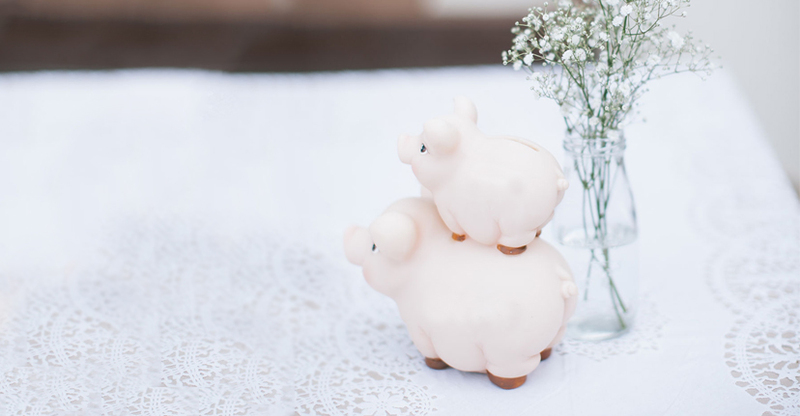 Once you’ve set up your wedding budget, take another look at your overall finances. While putting money toward your wedding is important, you don’t want to lose sight of your other financial goals. Take this time with your partner to assess your long-term financial goals and start planning for them. See if you can both set aside some money each month, even a small sum, and invest it. Investing as a couple could help grow your money and might one day help you make a down payment for a house or fund an incredible 10-year anniversary trip. At SoFi, you can start investing with as little as $100. Investing with SoFi can help your money work for you. With low-cost funds, no SoFi management fees, and complimentary access to a team of advisors, investing with SoFi can help you two start investing together. Learn how a SoFi Invest account can help you achieve your goals. Before you secure caterers, photographers, and an officiant, you’ll have to choose a date for the event. Your wedding date can definitely impact the final bill. While peak wedding season varies slightly by region, generally it runs from late spring to early fall. Holding your wedding in the winter could lead to considerable savings on venue costs. Having your wedding in the off-season could also end up saving your guests some cash, as they’ll likely be able to score cheaper flights and hotels. Another way to save is booking your venue for a weekday, as opposed to the coveted Saturday spot. If you’re still not sure how you’re going to afford to throw your dream wedding, consider a personal loan. A personal loan can give you the opportunity to put down a venue or catering deposit quickly, and pay all your wedding vendors on time. If you’re considering paying for everything with credit cards, a personal loan may offer a lower interest rate than most credit cards. And at SoFi, there are no origination fees, no prepayment penalties, and no late fees. If you’re ready to see how a SoFi personal loan could make your wedding dreams a reality, get a quote in under two minutes.